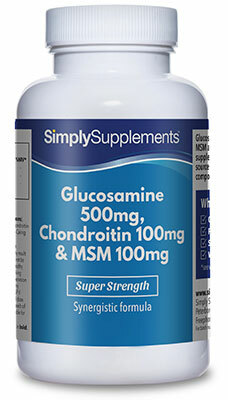 Although glucosamine is naturally occurring in the body, factors such as advancing age, physical trauma and medical complications can negatively impact the ability of the body to synthesise this compound. 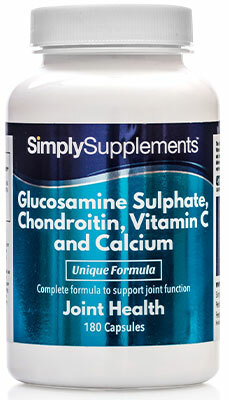 As glucosamine is not found in the diet in significant amounts, supplements have become extremely popular with consumers as a method of ensuring that the body is supplied with high quality glucosamine on a daily basis. 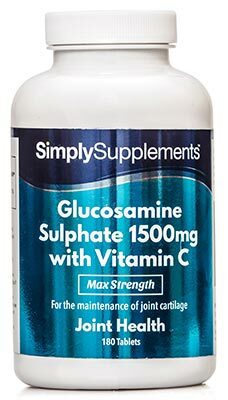 Glucosamine 1000mg with Vitamin C provides the amount of glucosamine demonstrated to be effective in scientific investigations. 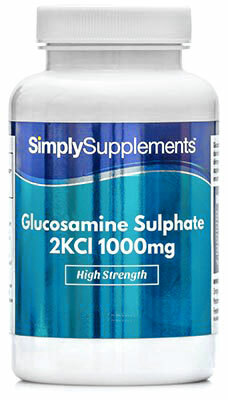 The expert team of nutritionists at Simply Supplements have developed this formula specifically for consumers who wish to achieve the optimal dosage of glucosamine with the convenience of taking a single tablet. 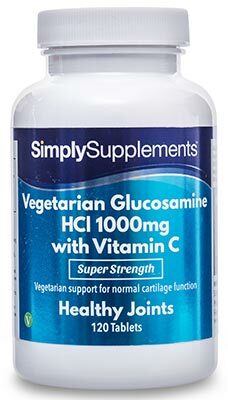 According to the European Food Safety Authority (EFSA), vitamin C provides support for the production of collagen, which is a connective protein that contributes to the normal function of the bones and joint cartilage. It also has an important part to play in the maintenance of a strong immune system, and helps protect the body’s cells and tissues from oxidative stress. 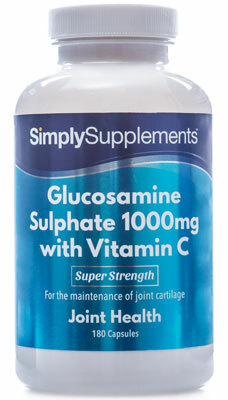 The glucosamine in this product is provided in the sulphate form, which is the type used in successful clinical trials. 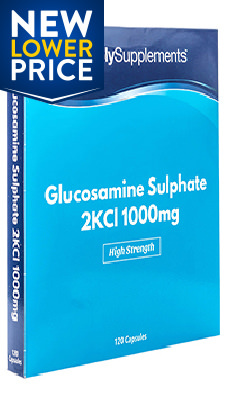 In order to effectively stabilise the formula, potassium chloride was included as part of the overall compound, which is widely regarded as the most effective method of glucosamine stabilisation. The capsule shell makes for a product that is easy to digest, allowing for the efficient delivery of the active ingredients. 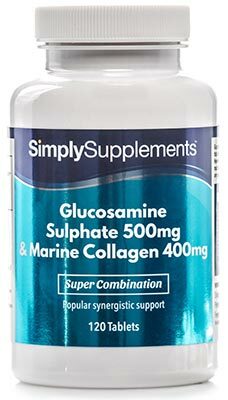 Manufactured in the UK, this product exclusively features marine glucosamine, which has been derived from shellfish found in clear and pollutant-free waters. All raw ingredients are premium grade, and state-of-the-art production methods allow us to avoid the use of any harmful additives, and enable us to produce a superior capsulated product. Stringent quality control procedures are implemented to provide customers with the peace of mind that this product is safe and effective, and constant batch testing means that every single capsule that enters the marketplace provides the level of active ingredients stated on the label. 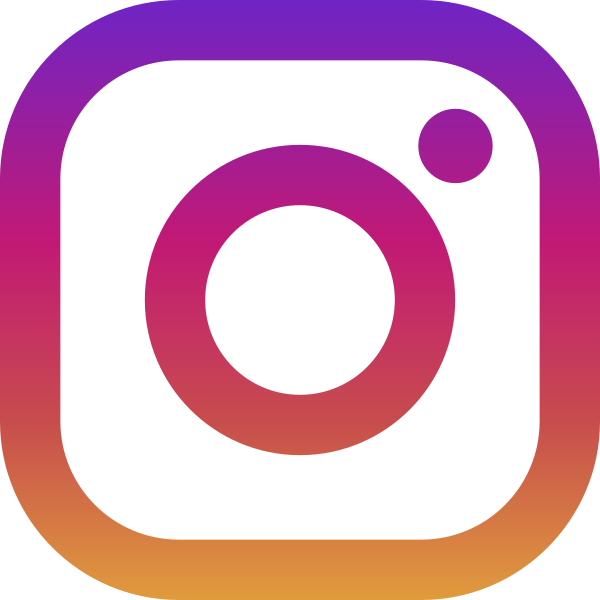 If you have a question about any of our products, our friendly and fully trained staff and are on hand to answer your queries. Other Ingredients: Capsule Shell (Gelatin), Colour (Titanium Dioxide E171), Bulking agent (microcrystalline cellulose), Anti-caking agent (magnesium stearate). For adults, take one capsule daily as a food supplement or as directed by a healthcare professional.